Moto Z DROID Software Tour! With the unboxing now out of the way (watch it here), we can start getting into the important stuff – whether or not the Moto Z DROID (and Moto Z Force DROID) are worth considering as your next phone. One place we love to look to see if a phone is any good, especially with Motorola phones, is in the software. As you all know, Motorola has stuck with a “pure” Android experience for years that has a suite of Moto features added to improve the experience without getting in the way. With the Moto Z DROID, that’s again the situation. 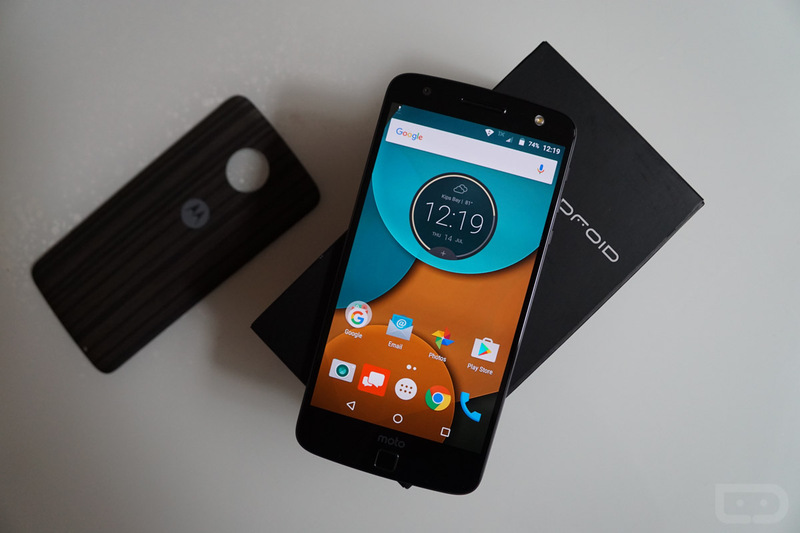 Motorola has given each phone Android 6.0.1 with behind-the-scenes Moto Mod magic, the Moto suite (actions, voice, and display), and a couple of Verizon apps and widgets. Overall, it’s very much what we have come to expect from a Moto phone. In the short video below, you’ll see a tour of the experience, along with a couple of the new Moto options. Enjoy! Moto Z DROID and Moto Z Force DROID Unboxing!